The curveball: Pitching tips for throwing the best breaking pitch. Beginners need to know how to throw the curveball.The curveball grip helps get us started throwing a curve ball. There are many variations for breaking ball grips. 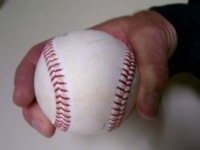 The fingers are basically the same but where the fingers grip the baseball may vary on their position on the baseball. The middle finger and the thumb are really 99% of throwing a curveball. The index finger rests slightly on the ball but has little impact. Some pitchers actually keep the index finger up in the air. The middle finger and the thumb both rest against a seam on opposite sides of the ball. This gives the resistance and friction for the middle finger to create sharp spin when releasing the ball. 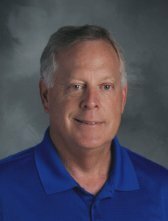 Carl Stolz, the founder of Little League baseball said, "I discontinued my connection in 1956, when I saw the way things were going. The national organization in Williamsport began developing into a Frankenstein. I became utterly disgusted. 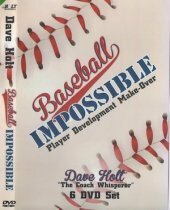 Originally, I had envisioned baseball for youngsters stricly on the local level without national playfoffs and World Series and all that stuff." ('Until it Hurts' by Mark Hyman pg. 12 2009). Professional pitchers use this pitching drill daily. 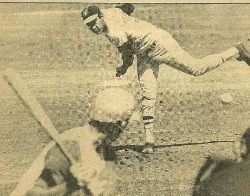 Have the pitcher pretend to have already stepped so the feet are spread. Have the partner pitcher or catcher about 40-45 feet away just standing up or slight crouch. The pitcher will prepare to throw a curveball by setting the curveball grip in their glove. Since we already have taken our step just rock back with your weight shifting to your back leg. Break the hands apart and throw the curve ball to the catcher. The pitch should be pretty slow but should have maximum spin. The curveball is a ‘feel’ pitch so the pitcher has to throw the pitch with spin many times to develop the ‘feel’ and increase the spin revolutions. This drill allows for a youth pitcher to throw several breaking curve pitches without beating up their arm. Keep the wrist mostly straight at first. Later on you can bend the wrist, which will often create more break on the breaking ball. Try not to throw the pitch by snapping the elbow. Let the middle finger and the thumb do most of the work to create the best curveball. Develop a ‘over the plate for a strike’ curveball first. Later on you can add the ‘strike them out; you can’t hit this, nasty curveball. Do not slow down your arm speed or body or you might tip the pitch to the hitter. Practice throwing a curveball at a shorter distance and with less velocity. Emphasize maximum spin rather than a faster pitch. The curve can be 10-15 MPH slower than the four seam fastball. Some pitchers shorten their stride a tiny bit so the arm can get out in front and finish the throw by having a really fast downward follow-thru at the point of release and immediately after. The top orthopedic and sports medicine experts advise young pitchers to put off the curveball and other breaking pitches until they shave. Basically at age 13 and older. Players 12 years old and younger should spend all their pitching innings on the basic non breaking ball pitches. The four seam fastball, the two seam fastball, the straight changeup, and the hump up fastball. Stay with the basic pitch grips. Avoid trick pitches like knuckleballs and other breaking pitches. Develop command, control and an ability to change pitching speeds with the fastball grips. Many of the 12 and under youth baseball leagues have given in to the win-at-all-costs approach. The league administrators allow pitchers at these young ages to throw breaking pitches without regard to their baseball development. The adults in the game have sacrificed their needs to win and jeopardize the player’s health and development. Look at how Little League has totally looked the other way and allowed breaking pitches at the expense of making money televising their games. Do not succumb to the temptation to win-at-all-costs and put youngsters at risk of career ending arm injuries by allowing kids to throw highly taxing pitches under age thirteen.